When the Lord has thoroughly proved him, and finds that the man is determined to serve Him at all hazards, then the man will find his calling and his election made sure, then it will be his privilege to receive the other Comforter, which the Lord hath promised the Saints, as is recorded in the testimony of St. John, in the 14th chapter, from the 12th to the 27th verses. Now what is this other Comforter? It is no more nor less than the Lord Jesus Christ Himself; and this is the sum and substance of the whole matter; that when any man obtains this last Comforter, he will have the personage of Jesus Christ to attend him, or appear unto him from time to time, and even He will manifest the Father unto him, and they will take up their abode with him, and the visions of the heavens will be opened unto him, and the Lord will teach him face to face, and he may have a perfect knowledge of the mysteries of the Kingdom of God; and this is the state and place the ancient Saints arrived at when they had such glorious visions–Isaiah, Ezekiel, John upon the Isle of Patmos, St. Paul in the three heavens, and all the Saints who held communion with the general assembly and Church of the Firstborn. Now, there is some grand secret here, and keys to unlock the subject. Notwithstanding the apostle exhorts them to add to their faith, virtue, knowledge, temperance, etc., yet he exhorts them to make their calling and election sure. And though they had heard an audible voice from heaven bearing testimony that Jesus was the Son of God [Mt 17:5], yet he says we have a more sure word of prophecy, whereunto ye do well that ye take heed as unto a light shining in a dark place. Now, wherein could they have a more sure word of prophecy than to hear the voice of God saying, This is my beloved Son? Now for the secret and grand key. Though they might hear the voice of God and know that Jesus was the Son of God, this would be no evidence that their calling and election was made sure, that they were sealed in the heavens and had the promise of eternal life in the kingdom of God. Then, having this promised sealed unto them, it was an anchor to the soul, sure and steadfast. Though the thunders might roll and lightnings flash, and earthquakes bellow, and war gather thick around, yet this hope and knowledge would support the soul in every hour of trial, trouble and tribulation. Then knowledge through our Lord and Savior Jesus Christ is the grand key that unlocks the glories and mysteries of the kingdom of heaven. Why are we so quick to assume that we are saved or will be saved merely because we have joined the Church, participated in ordinances, and are enduring to the end through home teaching, church service and temple work? Why does the Church now openly condemn those who prefer Joseph’s admonitions over today’s Church leaders’? 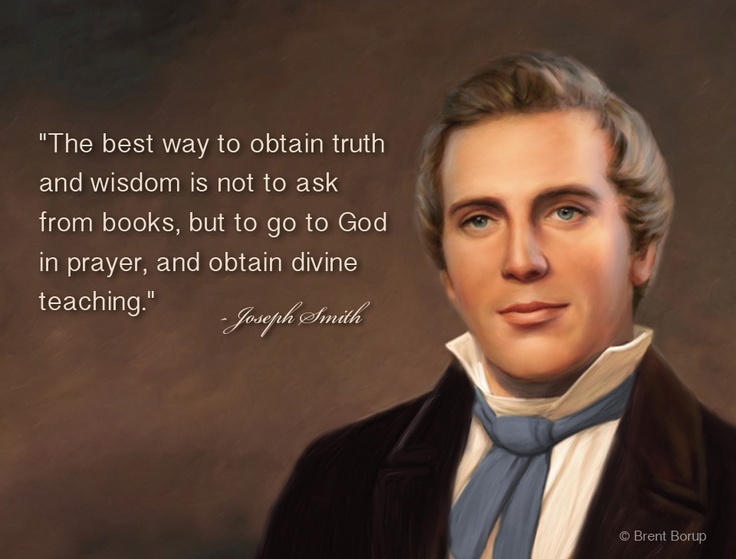 Why would the Lord allow all the prophets of scripture including Joseph Smith to openly testify they have seen Angels and the Lord, only to then instruct all of Joseph’s successors to never testify of the same? Is it possible today’s Church leaders have never entertained Angels or been in the Lord’s presence? If they have not, what would this change? If they have not, why would they lead people to believe they are special witnesses? And have a “sure knowledge”? Why would we still call them Prophets, Seers, and Revelators? Are we “crying out against prophets, apostles, angels, revelations, prophesying and visions, etc.”? Is that what today’s leaders are doing when they warn us that making calling and election a focal point is a “tactic of the adversary?” (Dallin Oaks) Are they crying against Joseph Smith and his revelations? Why do we assume that God is not just IF only a few are saved? And it came to pass that when Jesus had ended these sayings he said unto his disciples: Enter ye in at the strait gate; for strait is the gate, and narrow is the way that leads to life, and few there be that find it; but wide is the gate, and broad the way which leads to death, and many there be that travel therein, until the night cometh, wherein no man can work (3 Nephi 27:33). Is it because we assume that God cannot damn most of His children and still be just, merciful, and loving? Do we ignore the scriptures at our own peril? Do we not understand eternity and eternal progression? One of my dear friend’s keeps reminding me, “Joseph taught a fundamentally different gospel than the one we teach today.” I think he’s right. This entry was posted in Main and tagged apostasy, Calling and Election, change in the church, Church leaders, Joseph Smith, Truth on June 10, 2016 by Bishop Anon. Before proceeding, I need to repent. In past blog posts, in my exuberance I have said some things which could be legitimately construed as unnecessary or unChrist-like. I have now gone through all of my posts and have attempted to remove such offenses. I am clearly not perfect and ask those whom I’ve offended for forgiveness. This does not mean I do not still have concerns or that I won’t share them on this blog. But, I will attempt to do so in a way that is constructive and more thoughtful. I have updated my Why Anonymous page as well to reflect some of these same feelings. 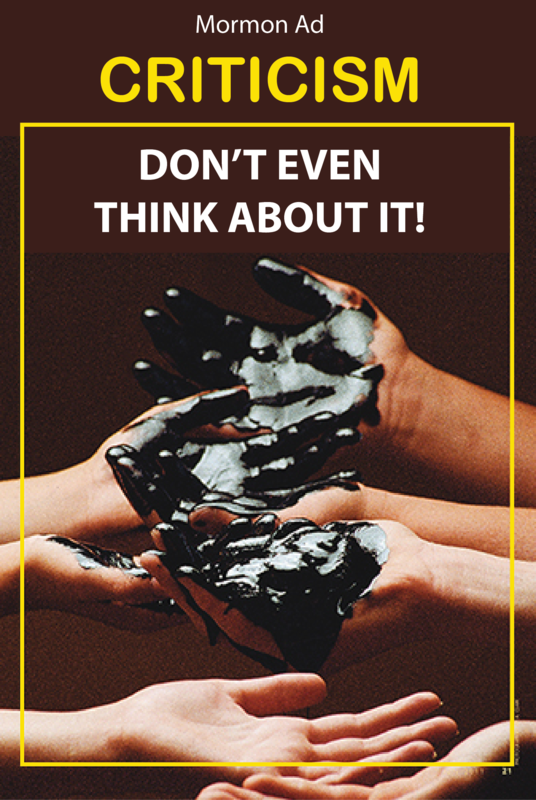 Sharing my honest concerns on this blog has been a very humbling and interesting experience. I’ve connected with many people and have been overwhelmed with responses, comments, and support for the most part. It’s been a great blessing. Numerous people have said how helpful it has been to discover that other active members of the church, even leaders in the church, also share their concerns about some of the decisions being made. This process has also caused me to more deeply ponder the question: Is criticism always wrong? I received this comment recently from someone whose view I think is very common in the church. I’m not sure what the future holds for blog post topics, but yes, this individual is correct that the few essays I have written are critical of some of the decisions being made by the leadership of the church. So when do you speak up in opposition in the church if you disagree? When you may disagree with decisions, expenses, teachings or interpretations by those who are the stewards of church? Let’s take some extreme examples. Let’s say you live in the time of Brigham Young and disagree with his doctrine of blood atonement. You feel strongly that this teaching may lead to disastrous consequences. Maybe even the loss of life. What do you do? Same question on polygamy and abuse of authority in that regard? Blacks and the priesthood? Do you just sit idly by and say nothing? Fast forward–what if you had firsthand information that Paul Dunn was embellishing stories years before he was caught? That Mark Hoffman was a fraud and his Salamander Letters were forgeries? That an Area Seventy was a bigamist for 7 years before he confessed and was excommunicated? Do you “find fault” with your leader who others may think is “doing the best he can” or do you just show “empathy” and let everyone do their thing? Or on the other side of the argument let’s suppose you are being taught by Korihor (Alma 30). He’s teaching you how to “manage the creature.” He’s eloquently teaching you what he sincerely believes to be true doctrine. Let’s suppose something not confirmed in scripture that should not change how we treat his message: Let’s say he’s a CES teacher. Should you take notes, enjoy yourself, get a copy of his signed book, enjoy the refreshments, and not look to judge or criticize this teacher’s message? By specifically ascertaining and discerning its faults? The church of course expects us to be critical of such false non-LDS, or non-leader teachers, and will even threaten members with church discipline if one associates with those whose teachings oppose those taught by the church. But what if the teachings that go against the doctrines of the church are being taught by those in the church, even its leaders? If only my words were so popular and powerful. A very thoughtful blogger recently wrote about the apparent difficulty of distinguishing between today’s sermons and quotes from those of other interesting people. Church magazine LDS Living has made it into a fun trivia game. 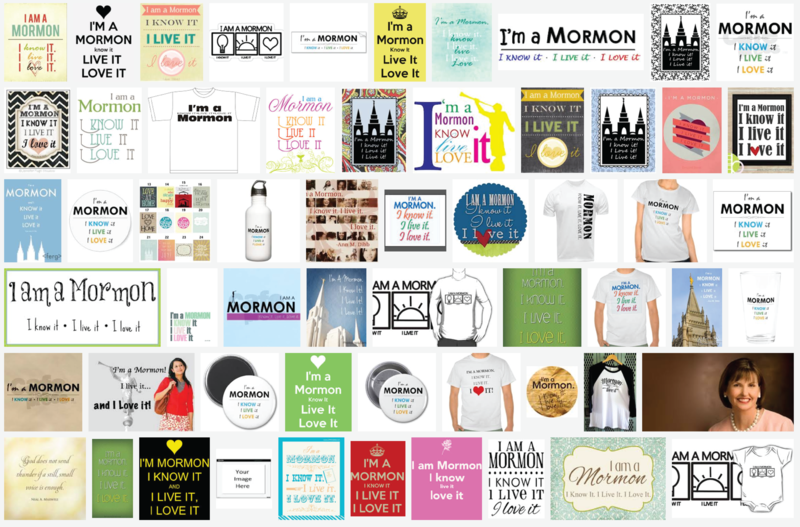 This blogger also noted that strangely President Monson has not born testimony of the Book of Mormon or of the prophet Joseph in his last 69 General Conference talks. 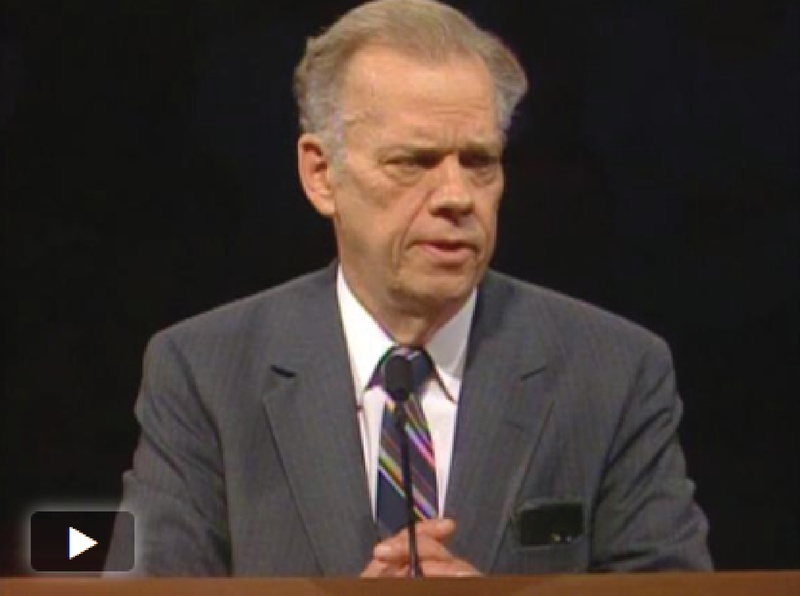 Paul H. Dunn’s Talk from April General Conference 1987. Did his talks help or hurt faith? Ought his record to have been challenged sooner? Is it wrong to question the words the church calls scripture? But are we taught we should never find fault at all? In one’s teachings? In one’s interpretations of doctrine? In one’s harmful actions? Again, the question — is all criticism wrong? Many years ago, as a brand new missionary in a foreign country far away from home, I found myself in an apartment with three other elders. One of them was the branch president as well as our district leader. Within a couple weeks I sensed this missionary was acting perhaps a bit inappropriately towards a sister they were teaching. She was married and had two kids. Her husband had been baptized a month previously and was (and still is) one of the best people I’ve ever known. It appeared to me that this branch president, district leader, missionary (i.e. my leader) had a slight crush on this man’s wife. Maybe I was wrong. I was taken aback. 8 months later this missionary was exposed and excommunicated for what he did 8 weeks after my letter to the president. The act of adultery could have been prevented and this dear family just might still be together and in the church if the mission president listened to the same spirit I was trying to listen to. Was I wrong to speak up? Was I being wrongly critical of my leaders? Now I understand that not all issues may be as obvious or as serious as an immoral or dishonest act. In my case, I’ve criticized the church thus far for making a movie, for its emphasis on social media and marketing, for its use of our tithing contributions and for other practices I am not sure are inspired. I’ve given the church and the brethren my honest feedback. Why do so many in the church believe it is wrong to be critical with decisions being made by the church? Especially given that we are also taught to stand up for truth and to gain our own testimonies when presented with teachings. …the members in the church learn to stay silent so as to not encounter the wrath of an angry God. But ought this to be so? Is this true doctrine? Not long ago I discovered that these particular quotes and others like them are examples of incorrect doctrine and/or have been taken out of their proper context. In the quote from Joseph Smith for example, it turns out that when you read the full context, the Prophet was warning apostles and seventies and leaders in general that “when they rise up in the church” (in its ranks) and “find fault with the church” (its lowly lay members), they (the leaders) are on the high road to apostasy. What a difference this makes! (See Dialogue Journal article) And yet this quote has been used to teach the exact opposite intended meaning for many years. The other quote “When our leaders speak, the thinking has been done” reflects the thoughts of many leaders from 1945 (when it was issued by the presiding bishopric of the church in the Improvement Era) to the present. In my view, it’s simply incorrect doctrine. The statement was so troubling to a local non LDS minister at the time that he wrote a letter to President George A. Smith. President Smith back peddled and gave a much different response than what had been stated by the presiding bishop. (See here) But the idea of a leader speaking and the thinking being done has remained a common theme in church leadership ever since. (See The Debate is Over, N. Eldon Tanner as one example) It’s now more carefully crafted in the idea that “whether they speak or God speaks it is the same.” This is another misapplication that you can find others have commented on. Here is an excellent article on this topic. What if we apply the church’s own standard to today? Perhaps we should appeal to today’s leadership that they have no right to overturn “established doctrines” of the past. Aren’t doctrines supposed to be eternal? Immutable? Brigham Young taught that it was our priesthood duty to kill a man of African descent on the spot who courts a white woman or to kill an apostate (see wikipedia Blood Atonement). It could be argued that the leaders have already spoken on these issues. “When they give direction” as Brigham did, it should be our duty as members to disobey any current teaching opposing Brigham Young. The prophet spoke and the debate is over! Right? Wrong. But, of course the issue has been clouded with more erroneous logic about “living oracles” and “living prophets” being more important than dead ones. Forget that all the while we are taught that none of them can lead us astray, the Lord won’t allow it (See Elder Ballard’s talk this last conference). With all due respect, if the prophets and apostles “can’t lead the church astray” why does the church now “condemn” Brigham Young and all other prophets for what it now declares to be false doctrine? How does condemning Brigham Young and correcting other prophets’ teachings of doctrines prove the Lord’s leaders can’t lead people astray? Hundreds of other examples of prophets and leaders contradicting one another could be mentioned here. 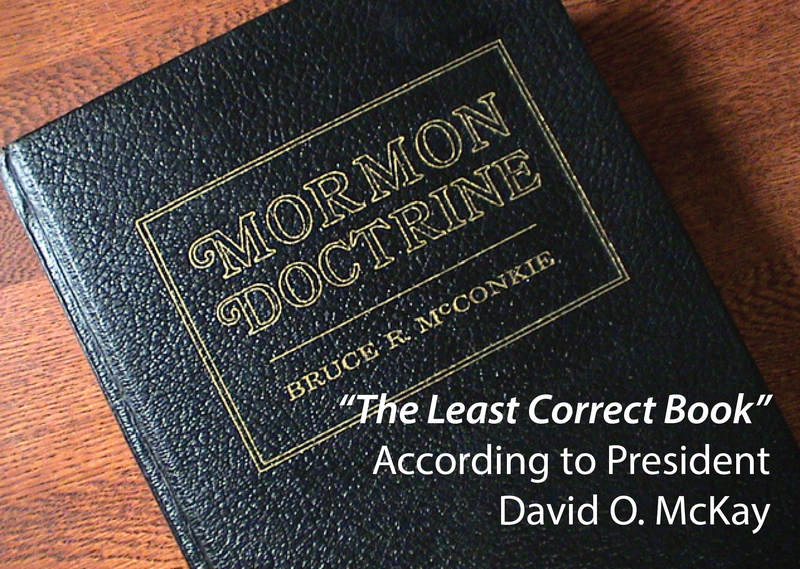 President McKay and Apostle Mark E. Petersen found what they thought to be 1700 doctrinal errors in fellow PSR Bruce R. McKonkie’s Mormon Doctrine. All the best examples of how we can or should stand up for truth are in the scriptures. The example of Lehi teaching against church leaders (“the Jews”). The examples of Isaiah and Ezekiel. The examples of John the Baptist and Jesus. We forget sometimes that our own church is an example of someone having gone against his leaders of the day. Joseph even stood up against his own parents in refusing to be baptized in any of their churches. To their credit, they respected his agency. Thankfully they did not exercise unrighteous dominion against their “wayward” son and allowed him to disagree with church leaders and find fault in their teachings. And yet in this instance Moroni’s criticisms turned out to be somewhat unfounded. A leader can make a mistake after all. If Moroni can, I assume Brigham Young and President Monson can as well. The majority or all the twelve, I assume, can. I think it is in the program. It’s a doctrine that is predicated upon the agency God gives to man, and hence the reason we do not trust in the flesh and ought to speak up for truth at all times and in all places. Pahoran did not lecture Moroni about being on the high road to apostasy nor did he misjudge Moroni’s intentions and take personal offense. And don’t tell me that if Pahoran had been the president of the church, it would have been entirely different. Men like Moroni and Pahoran don’t vacillate and change their character depending on the situation nor do titles effect their integrity. I believe now more than ever, it is our duty as members of the Church of Jesus Christ of Latter-day Saints to righteously judge between truth and error. Finding fault with a man’s teaching, no matter who the man is, and offering our criticism is neither contrary to doctrine nor apostate. In my view, silencing a person through excommunication is exactly what Joseph was trying to warn the leaders of his day not to do when they rose up in power in the church. If we believe that any human or any set of humans can’t lead us astray, we simply do not read the scriptures. There is scriptural precedent, despite so many who argue to the contrary. Do we assume Nephi’s quotations of Isaiah, discussing Ephraim and Manasseh and the Last Days, in the most correct Book on earth, written as a warning to the Gentiles who are under condemnation for not taking it seriously (D&C 84:55), have nothing to do with us or what may happen in the future in the church? I pray for our leaders and for the members of our church. I think I speak for many active and sincere members, who sustain the brethren to righteously live up to their callings, although they may at times disagree with what they say or do. We criticize because we love and because we care. Too many good people are now being cast out because they choose to share these concerns. The church recently excommunicated a woman who merely linked to her husband’s blog, These were faithful and good members of our church. I read the blog in question and I find no evil in this man’s heart or in his teachings. Yet, his family is now cut off. He and his wife are the parents of 7 children. Intentionally voting to end their eternal union, simply because his views were seen as overly critical, in my view, is a very tragic representation of why we must speak up for truth and not fear sharing our thoughts. Lives are at stake. This practice must stop. I for one cannot sit back and say nothing. I wish for such powers to be pulled down. This entry was posted in Main and tagged apostasy, Church leaders, Criticism, Monson, The Poor, Tithing, Truth on December 20, 2014 by Bishop Anon.